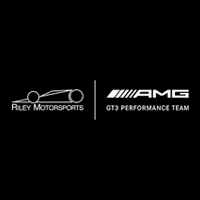 AMG is Mercedes-Benz’s exclusive lineup of high-performance vehicles. These exceptional models have a racing heritage and are crafted from the finest available materials. The new 2018 Mercedes-Benz AMG GLS 63 is a worthy example of the AMG series, featuring a handcrafted AMG 5.5L V8 biturbo engine. You can feel every bit of this full size SUV’s 577 horsepower on the road as you accelerate from zero to sixty in only 4.5 seconds. Join Mercedes-Benz of College Station as we review what makes the 2018 AMG GLS such an extraordinary vehicle. The AMG GLS’ remarkably designed exterior effortlessly manages to be both functional and polished, taking some cues from the bold G-class wagons. Full LED headlamps, a robust front air dam, and 21 inch AMG cross spoke wheels ensure that the GLS always performs at its peak. Mercedes-Benz’s designers clearly left no aspect of the driving experience unconsidered. For example, details like the side mirror logo projectors are certain to surprise and delight you. These projectors illuminate the ground outside the driver’s and front passenger doors, so you’ll never be caught off guard by a stray puddle or precarious terrain. Stepping inside the 2018 AMG GLS you’ll find ample room for both passengers and cargo of all sizes. The GLS’s seven passenger layout is equipped with numerous luxurious details to enhance your comfort, including 3-zone climate control and multi-contour massaging front seats. The interior possesses intuitive and practical features that allow you to transform the cabin layout easily. The generous second row can accommodate up to three passengers, and folds down in under 5 seconds because of its 60/40 split design. The rear third row is similarly accessible, and also folds flat revealing up to 94 cu. ft. of cargo space. The 2018 AMG GLS earns its title with a number of racing-inspired enhancements. Standard AMG performance all wheel drive, an improved AMG braking system, and sport exhaust are just some of this GLS’ signature upgrades. From inside the cabin, perfectly positioned manual shift paddles allow you to flawlessly upshift and downshift the GLS’ automatic transmission. The AMG GLS can even tow up to 7,500 lbs. with the available trailer hitch and standard trailer stability assist. Mercedes Benz of College Station has the experience and client-focus to help you find the perfect new vehicle. We have assisted countless satisfied clients from The Woodlands, Huntsville, Brenham, and beyond. Mercedes Benz of College Station is ready to present the 2018 AMG GLS for sale now, and it would be our pleasure to take you on an informative test drive. If you’re prepared to update your vehicle and elevate your driving experience, we’re confident that AMG GLS can meet your every need. Bring home your new 2018 AMG GLS 63 from Mercedes Benz of College Station with a starting price of $125,300.